Come learn about how to run for office, plan a campaign, raise money, and engage the local deaf community. Led by Ashanti Monts-Tréviska, Lisa McShane, Alex del Rosario, Morgan Steele and Karlee Deatherage. RESERVE YOUR TICKET (by donation) HERE. The last hour (8:30-9:30) is reserved exclusively for deaf people to engage in Q&A with trainers. Access the second-floor space via stairs or the elevator (no stairs). ASL translation provided. 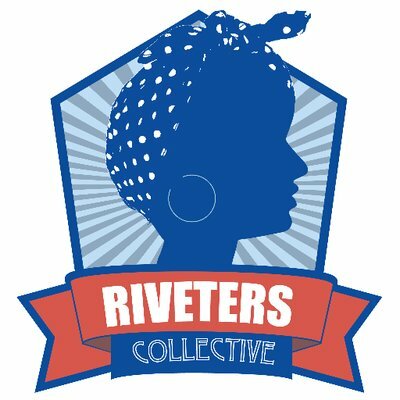 If childcare or cost are a barrier for you, please email us at riveterscollective@gmail.com and we’ll work something out! Ticket donations cover space, food, ASL/spoken English interpretation, and other event expenses. The suggested donation rate will not cover all of the costs; if you are able to give more we appreciate it! Can’t come, but want to support? Donate via the form below.